Dr. Siri Rama is a Bharata Natyam and Kuchipudi dancer, teacher and choreographer based in Singapore/Mumbai. She is also the co – founder-director of the Kanaka Sabha Performing Arts Centre in Mumbai. Siri was awarded a PhD in the Fine Arts by the University of Hong Kong, Ph. D (Advisor scholar Dr Rajeshwari Ghose). 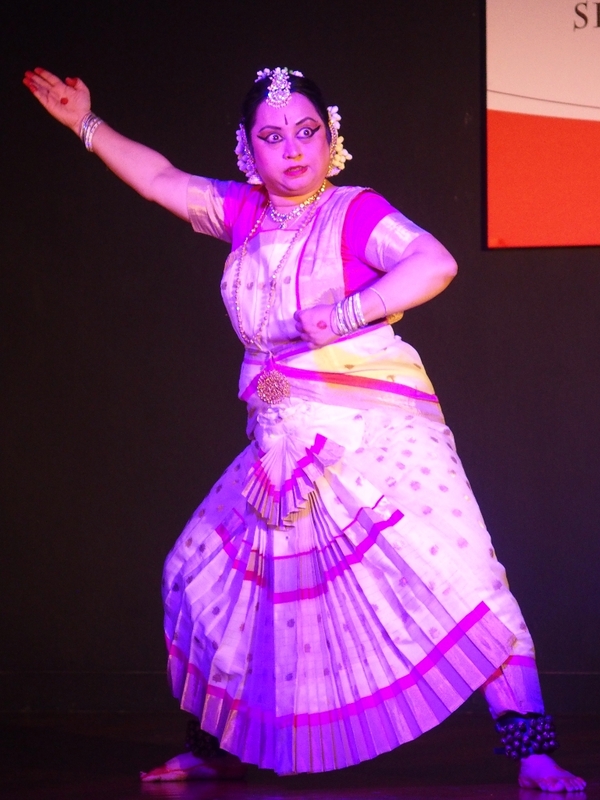 She has trained under veteran Gurus (Late) Komalavalli , K. Vijayalakshmi Krishnaswami, Ramaswami Bhagavathar, T V Sounderarajan, T. Kadirvelu in the Bharata Natyam style and under the late maestro C R Acharyulu, in the Kuchipudi style. Siri also learnt mridangam basics from Guru Jayalakshmi (Mumbai) and Carnatic music (practical and theory) from her mother Sangeeta Vidushi Saroja Srinath. Siri has also trained and attended workshops over the years in several dance styles and countries: Odissi ( Guru Rabindra Atibuddhi – Mumbai), Cambodian dance for a year (Chamroeun-yin- Philadelphia, USA) , Meredith Monk ( in Hong Kong ), Chinese Opera ( Joanna Wong ,Singapore), Balinese dance (Sutarini- Ubud,Bali) and contemporary dance/theatre workshops for several days in Jogjakarta- Indonesia. Siri has also been a student of yoga (Mumbai Singapore and Philadelphia), Taekwando (Mumbai), Kalaripayattu (Mumbai) and Tai chi (Singapore). Siri’s father Mr N.S Srinath who was part of pioneering theatre movement in Bengaluru and was also an theatre instructor had a huge influence on the training process of Siri’s dance . Siri has worked with amateur and professional theatre groups in Mumbai as a dance choreographer. Siri’s mother Sangeeta Vidushi Saroja Srinath has been a guiding light throughout her career and contributed in her developing musicality for all her artistic creations and in understanding lyrics and aesthetics of Carnatic music. Siri has performed to critical acclaim, presented group performances, and lectured, in many different cities of India and in many parts of the world including the USA, Singapore, Germany, UAE, Hong Kong, Malaysia, Taiwan and Thailand. She has performed in Mumbai, Chennai, Pune, Raichur, Udupi, Murdeshwar, Bengaluru, Trivandrum, Cuttack, Delhi, Chidambaram, Thiruvaiyar, Kumbakonam, Sheerkazhi, Nagapattinam and Trivandrum. Siri has been the recipient of the Singar Mani award at the Sur Singar Samsad, an award for teaching by the Archana Nrityalaya, Mumbai and the Nritya Shivali title by Shivali Cultural Society, Mumbai. 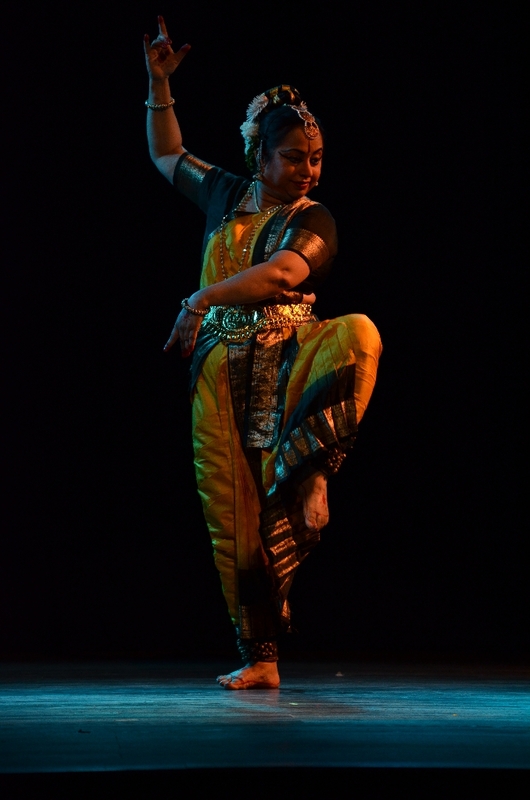 She has also been recognized for her contribution to Dance Education in Singapore by the Ministry of Education.Siri has been given the title of Nrithya Rathna (Jewel of Dance) in the Cuttack International Dance Festival 2012 for her contribution to the field of classical dance in India and abroad. Siri has been awarded a lifetime achievement award Singara Ajiva Puraskara (2015) by the Kannada Sangha (Singapore). Siri has trained a large number of young dancers in Mumbai, Hong Kong and Singapore. Several of Siri’s students have performed arangetrams In Singapore and India, and many of them have won competitions at national levels in India, have performed solos in India and abroad, and have become graded artistes on national television. She has choreographed and presented several solo and group dance performances to traditional as well as contemporary themes. She has collaborated with musicians and dancers from many other genres including Hindustani music, Chinese and Malay dance, and computer music. Siri choreographs and conducts the nattuvangam for her students in arangetrams, performances and recordings. Siri has been invited to present group and solo performances at several international conferences and important cultural events including the premiere of Buddha Charita (“The Story of the Buddha”) in Hong Kong for the Fung Ping Shan Museum (HKU), a collaborative performance with noted composer Pandit Vijay Raghav Rao in New Delhi, a Jataka tale enactment “Maya Dhwani” in Murdeshwar for VEGAN conference, Karnataka, and a solo presentation of Mriga Jataka at a Sanskrit conference in Bangkok and solo presentation ” Buddha meets Ganesha ” for Gnani Arts Singapore for a painting exhibition of the same name. She has also been invited to lecture and conduct perform/workshops at leading Universities Hong Kong , Malaysia, Thailand and Singapore, and in the USA, including Duke University, University of Pennsylvania and University of Southern California. She has also made presentations for dance and fine arts departments at George Washington University, the University of Hong Kong, Hong Kong University of Science and Technology, and the Hong Kong Academy of Performing Arts. Siri has taught full-length University courses, “Dance: East and West” and “Introduction to Dance” as an adjunct faculty member at the Singapore Management University, and at the International Institute of Information Technology, IIIT(Hyderabad) respectively. She has in 2015 , created amd taught a course ” Cultural introduction to India” at SMU. She has also been an adjunct lecturer teaching the Asian Dance Technique and Workshop course at Nanyang Academy of Fine Arts- Singapore, conducted an Asian Dance workshop at the Institute and served as an examiner. She has choreographed and presented two works Rhymorphs and Borobudur: revisited, with students of NAFA for the Third Space at the DANS festival at Esplanade and for the New Asian Imaginations: (Re)searching the Arts in Southeast Asia conference by NAFA respectively. Siri has presented academic papers at conferences on dance, Sanskrit, South Asian and South East Asian art history , translation, in India, Hong Kong, Thailand, Malaysia and Singapore. She has served on conference juries for an International Computer Music Conference in Hong Kong, and on the review panel for the Asia Pacific Dance Bridge an international dance conference organized by the World Dance Alliance in Singapore. Siri has published chapters in seminal books : Evolving synergies (Ed. Burridge and Carino) – the first anthology on dance in Singapore , Kala Manjari (Ed. Ramaswami and Alurkar ) ( a golden jubilee commemorative volume on Indian classical dance and music in Singapore) and Cultural Contours of History and Archaeology – Commemorative volume for Snehasiri P Chenna Reddy). She has served as judge in dance competitions in the US, India, Hong Kong and Singapore. She has been an adjudicator for the Singapore Youth festival (SYF) for the last seven years. She has also been an examiner for dance at Global Indian Cultural Centre (GICC) for several years and has also been invited as examiner and judge at local independent dance institutions groups and dance competitions. She has performed and presented a paper for the First International Bharata Natyam Conference in Malaysia and more recently in Singapore held by N’Dance and Yoga. 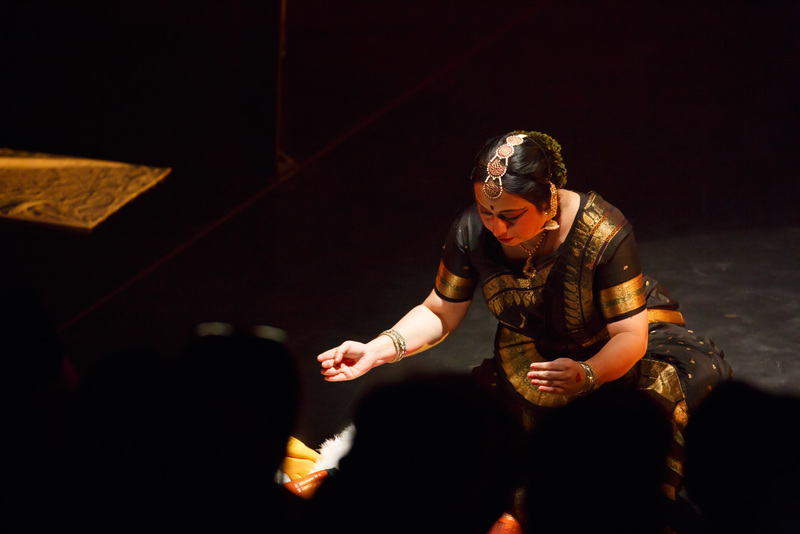 Siri collaborated with Odissi dance artiste Jyoti Unni in Singapore supported by NAC grant and presented a Kuchipudi – Odissi collaborative performance called Samvaada (Nov 2012, Singapore). Siri performed in December festival in Chennai for the Bharatiya Vidya Bhavan festival for their 125th anniversary celebration in Dec 2013. She recently (4th Jan 2014)presented local Singapore musicians under the leadership of Mrs Bhagya Murthy in Mumbai in a special dance presentation which traced the history of Kannada literature called ‘Gejje Naada’ in Mumbai under the aegis of Karnataka Sangha Organisation in Mumbai. In July 2014 , Siri choreographed and worked on a collaborative dance program with a dance group from the dance department National University of Physical education and Sports Taiwan . This program called Asian Rhythms and Monsoon Beats , which featured specially choreographed dances in contemporary dance and Bharata Natyam styles was presented in Mumbai and Kerala. In the same period Siri also choreographed and conducted two Bharata Natyam arangetrams (her students Shobitha, Sarikha and Chandrikas students) in India (Bangalore and Mumbai). She also has choreographed and presented thematic Bharata Natyam concerts in Mumbai, Tridhaara – which presented a unique dance program performed by three sisters, and Trishakti – which was on the three goddesses (prosperity, strength and wisdom) of Hinduism. 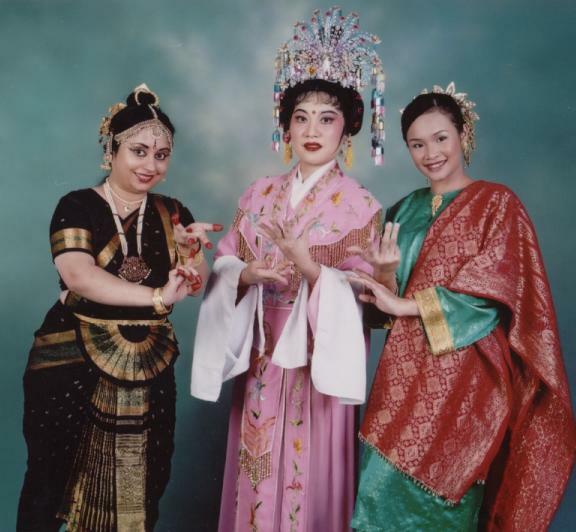 Siri also has collaborated with local Chinese opera scholar Dr Chua Soo Pong in presenting Ramayana at local community centres and with Malay artistes (Mdm Som Said Sri Warisan Performing Arts) for various corporate events and conferences. Siri also has performed and choreographed with her students over the years , the most recent one being Tri Guna a dance program on three aspects of Hindu philosophy – creations, sustenance and destruction, which was presented in Mumbai Mysore Association (Jan 5th, 2015). She is currently serving her third term as the president of the Singapore chapter of World Dance Alliance Asia Pacific. During her term she has under her initiative conducted the International Dance Day for 4 years (2012, 2013, 2014, 2015) in with the support of the National Library Board with performances and workshops from different local dance groups called K’NOW dance. 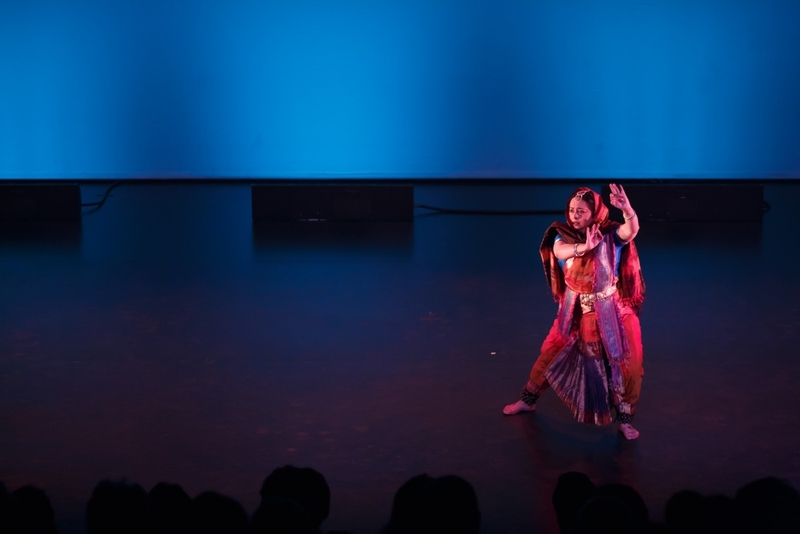 Under her tenure she has successfully conducted : Asia Pacific Dance Bridge : Connectivity through dance which was held in October 2015 in conjunction with the dans festival conducted by the Esplanade supported by leading institutions NAFA, La Salle College of Arts, Esplanade, SOTA and the National Arts Council. Siri has now presented a new production conceptualized and choreographed by her called Silk Roots which was a unique production on stories derived from the silk textile . This was supported by a grant from National Arts Council (Singapore)and it was first staged as a collaboration with Odissi artiste Jyoti Unni and guest choreographers Mdm Som Said (Sri Warisan Som Said Performing Arts) and Chinese dnacer Yang Ce and Vocalist Dr Bhagya Murthy. It was successfully premiered on March 6th, 2015 at the Esplanade Theatre Studios. 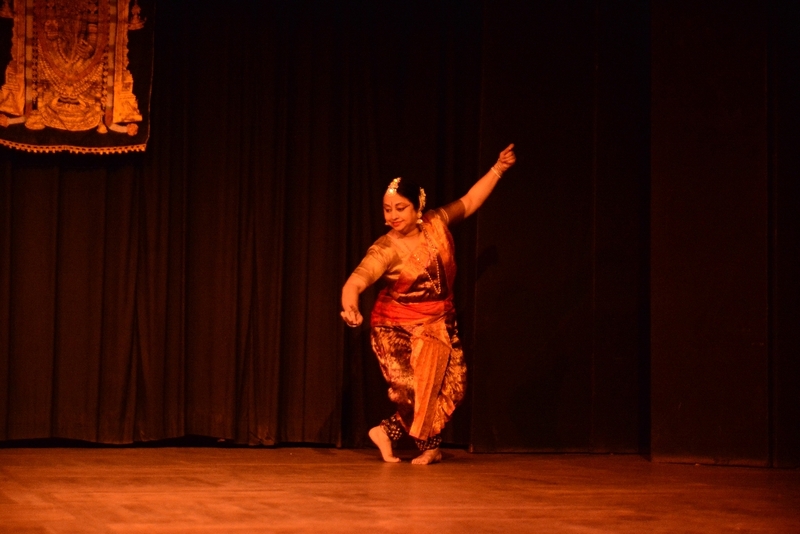 Siri has recently presented SILK ROOTS as solo Bharata Natyam presentation in Chennai. 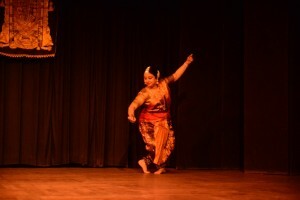 In 2015 Siri also presented a unique program in collaboration with Marathi Natya Sangeet artist Smt Minal Bhide for Kalabharati presented by Karnataka Sangha called Rasika Mohini which combined Marathi Stage music with Kuchipudi. Siri also presented a solo Sakala Kalavani a thematic Bharata Natyam program on goddess Saraswati for the SIFAS dance and music festival. Siri conceptualized and choreographed for her students twins Shubhra and Soumya Ojha called Kala Prerna sponsored by the National Arts Council in Aug 2015, which featured special dance pieces inspired by the stories and sculptures in Singapore temples (both Hindu and Buddhist monuments). Siri is currently working on book with Guru Mrs Bharati Murthy (Mumbai) which traces the history of Bharata Natyam in Mumbai. She is also translating a Kannada work called Amara Ramayana written by her mother Saroja Srinath. Siri is the founder-editor of www.kanakasabha.com, a worldwide website devoted to the appreciation of the Indian classical dance forms.